Today’s Sunday Scan features Modern Pulp at it’s finest. This is Fatale volume one Deluxe Hardcover. 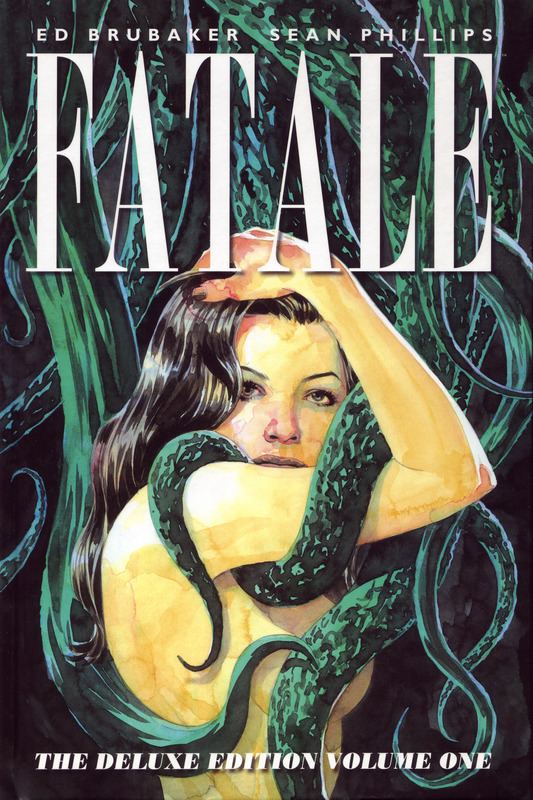 It collects the first 10 issues of Fatale (2012) by the incredible team of Ed Brubaker and Sean Phillips. This striking cover image by Sean Phillips appears to be water-colored. Great stuff!